Igor Galiev is like the Fugazi of yoyo players. You always think you know what's coming but then as soon as you have a grip on the flow, he surprises you. We love watching this guy play. Yoyo used is the YoYoFactory Dogma. Igor Galiev is like the Fugazi of yoyo players. You always think you know what’s coming but then as soon as you have a grip on the flow, he surprises you. We love watching this guy play. Yoyo used is the YoYoFactory Dogma. Igor Galiev brings the heat from Moscow in this new video, culled and remixed from unused footage shot during the making of his original Ultimate Dogma video. I’ll never get tired of watching this guy throw. Amazing. YoYoFactory player Ann Connolly put together a really detailed buyer guide for much of YoYoFactory’s current metal yoyo lineup. Great work, Ann! If you’ve been trying to figure out what to buy this is definitely worth the watch! 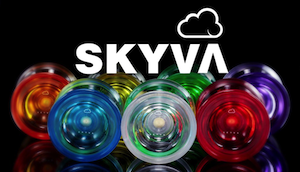 Yoyos featured are the YoYoFactory Shutter, Horizon, Dogma, Aviator, Czech Point, Superstar, Nightmare, and The Edge. Sometimes you seek out a place to throw some tricks, and other times the place you end up just demands it. If you end up in Dookie’s backyard, you’re gonna be throwing some tricks. Featuring Paolo Bueno, Evan Nagao, Michael Kurti, and David “Dookie” Albert. 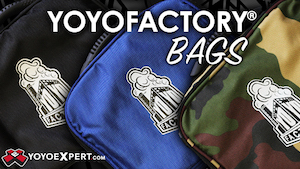 Yoyos used are the YoYoFactory Edge, YoYoFactory Dogma, CLYW Big Dipper and CLYW Igloo. YoYoFactory Russia brings some more of the good stuff from the land of snow and bears and rad folk art. Check out the latest from Andrey Glukhov! Igor Galiev is one of my favorite yoyo players in the world. His tricks are consistently great, with construction that is always uniquely his own and concepts that are so crazy subtle that only long-time yoyo players can appreciate them. Seriously, his tricks are just so densely layered with multiple levels of complexity that it’s a wonder he has time for anything else in his life. And then, on top of that, he brings in a slew of talent from YoYoFactory Russia to show off too? DAMN. I’m spending the rest of my day watching this and working on elements. Check out this bitchin’ video from YoYoFactory Russia Jr. Team member Bogdan Bezugliy! Tons of style, and really fantastic control of the yoyo and string. How is this guy only on their junior team? Check out the latest video in the POV series from Russia, this one featuring Igor Galiev. Igor is such a tremendously talented and creative yoyo player. He’s your favorite, and if he isn’t then he should be! Are you ready for more crazy good first-person yoyo play from Russia? Good deal, we were too! Check out the latest episode of YoYoFactory Russia’s “POV” series, this one featuring some incredible yoyo play from team member Ilya Matros. YoYoFactory’s Igor Galiev just dropped a super awesome new video, with a great twist. It starts off as a typical “day in the life” video, but the viewer gets to choose what he does next…leading eventually to a new tutorial or videos featuring his recently released signature yoyo, the YoYoFactory Dogma. 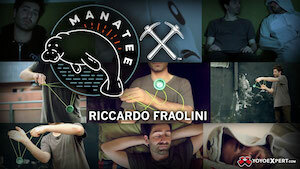 This is a really neat concept, executed well, and the results are a ton of fun. Plus, anything that gets us more video from Igor Galiev is pretty good, right? This is a YouTube video game life simulator with ability to affect life choices of Russian yoyo master Igor Galiev during his day off. Be careful your choices will affect his life! But do not worry, because we have a “replay” button.